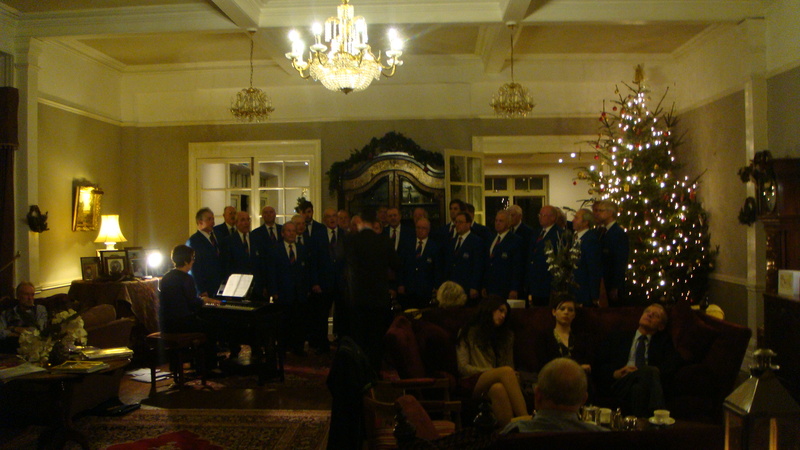 The Choir performed a short after dinner concert to entertain guests enjoying a Christmas holiday break at the Lake Country House Hotel. 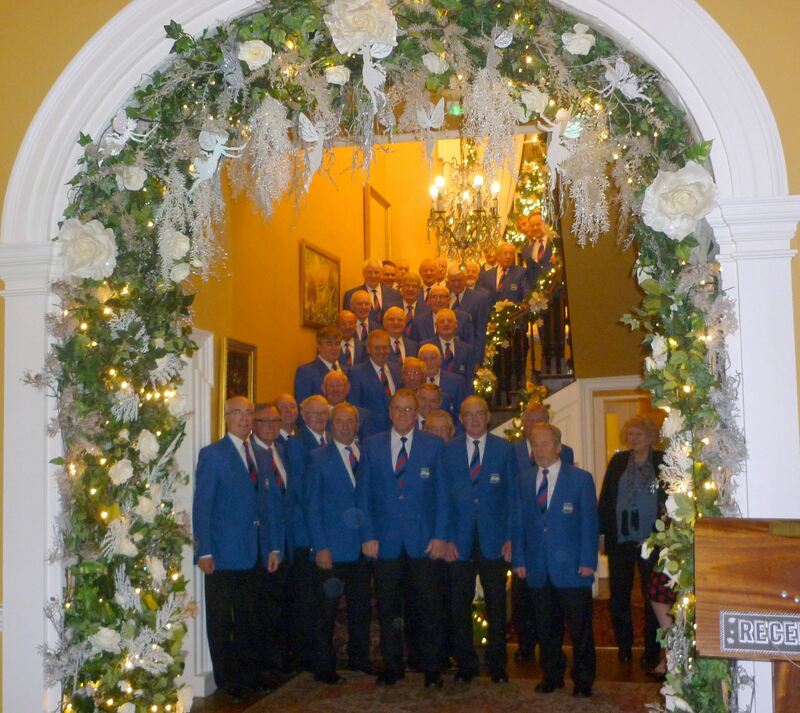 Over the years the Choir has regularly performed a Christmas concert for guests at the Hotel in a warm and cosy atmosphere. 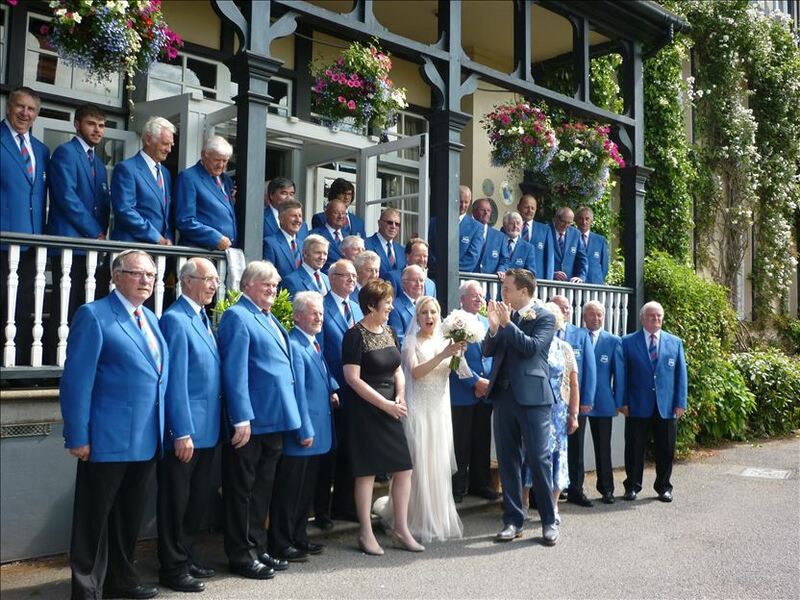 The Choir performed at a Wedding Reception at Peterstone Court. The Choir was pleased to take part in the Royal British Legion Remembrance Concert at Alpha Chapel on 6 November. The community based concert included delightful items from pupils from Builth Wells Primary School and Builth Wells High School, plus songs from Ken Price, Angela and Val. Rev. 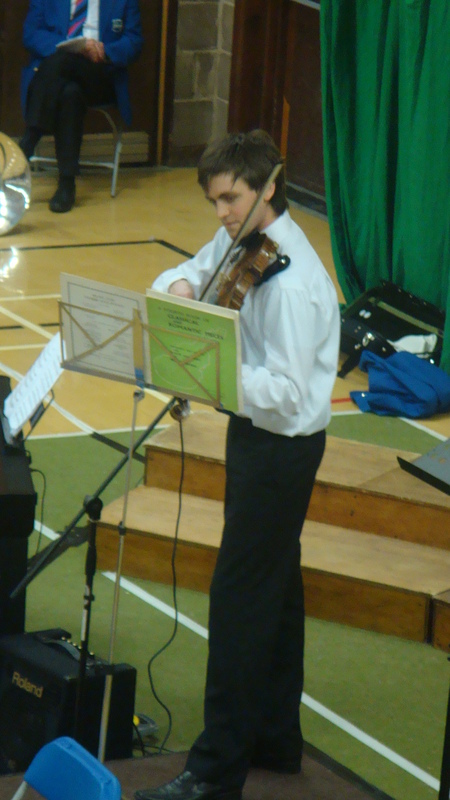 Brian Reardon led the prayers with scripture readings from the High Sheriff and Chris Davis MP. 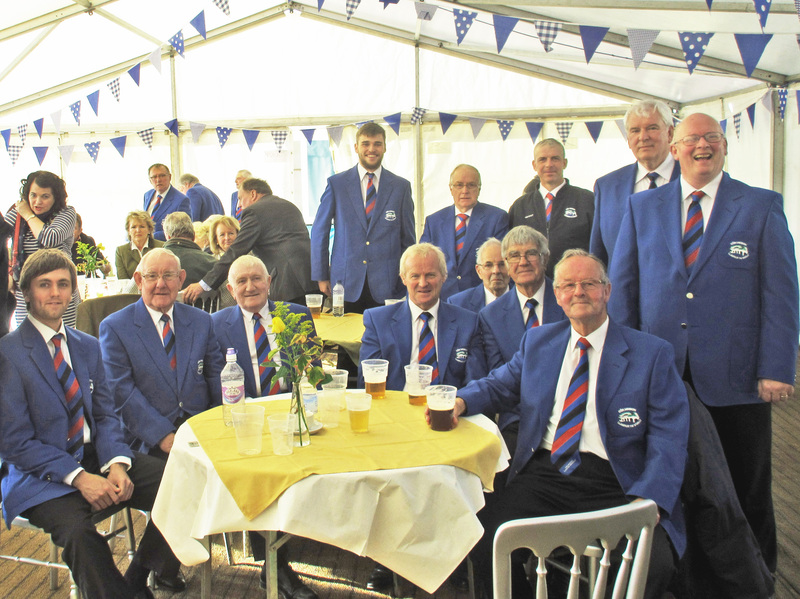 Builth Male Voice Choir performed an afternoon concert at the 2015 Rorke’s Drift Rally at the Brecon Showground at the end of May. The Choir performed in a large marquee and sang a mixed programme of traditional Welsh pieces and popular modern pieces. 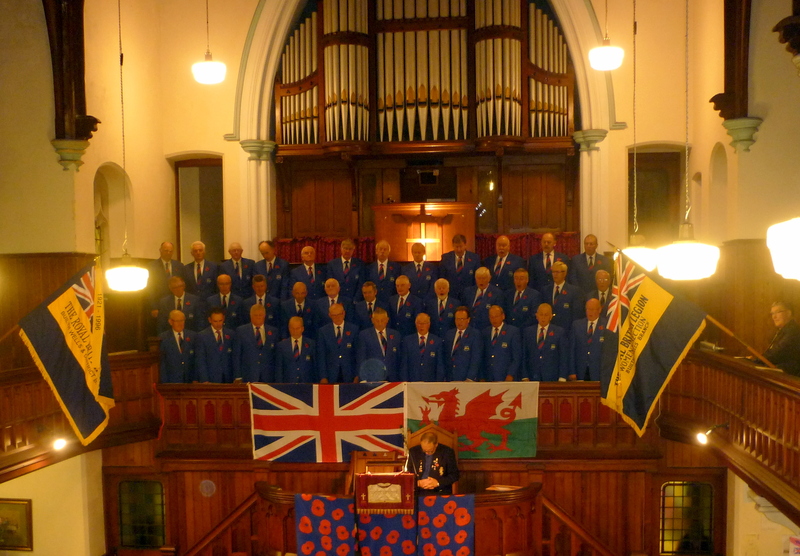 The colourful audience particularly enjoyed the choir’s rendition of “Men of Harlech” and “Calon Lan” and at the end gave a standing ovation demanding an encore. 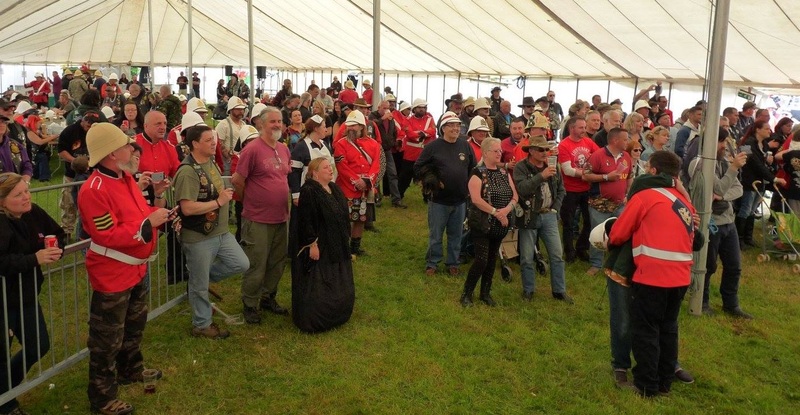 Choir members and supporters thoroughly enjoyed the event, particularly the hospitality and welcome given by the Rorke’s Drift Rally organisers. 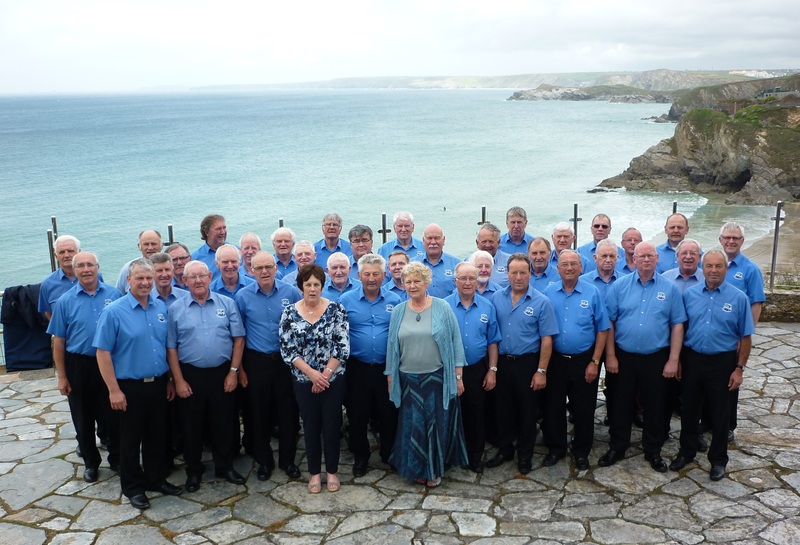 Builth Male Voice Choir members and supporters have recently returned home after an action packed trip to Cornwall where they took part in the Cornwall International Male Voice Choral Festival. With 70 choirs involved from 13 nationalities across the world, it was an amazing Festival in which choirs sang in 50 events at 40 locations across Cornwall. Builth Male Voice Choir was one of three choirs representing Wales at the Festival and was honoured to be asked to perform at the prestigious Final International Gala Concert in the Hall for Cornwall, Truro. The Choir also performed at five other concerts the length and breadth of Cornwall, from the Tate Gallery, St Ives in the west to Launceston in the east and from Hale in the north to Trebah Gardens in the south. It was an exacting but most enjoyable journey for the Choir members and supporters who forged new friendships and links with choristers from around the world. The trip was organised by the Choir’s Event’s Manager Bill Bain. Two coaches were required to take the forty strong choir and over forty supporters to venues on tortuous journeys through the lanes and byways of Cornwall returning each time to their hotel base in Newquay. This logistical challenge required meticulous research and planning which was expertly handled by Bill in his last event prior to his move from Builth to Wiltshire. 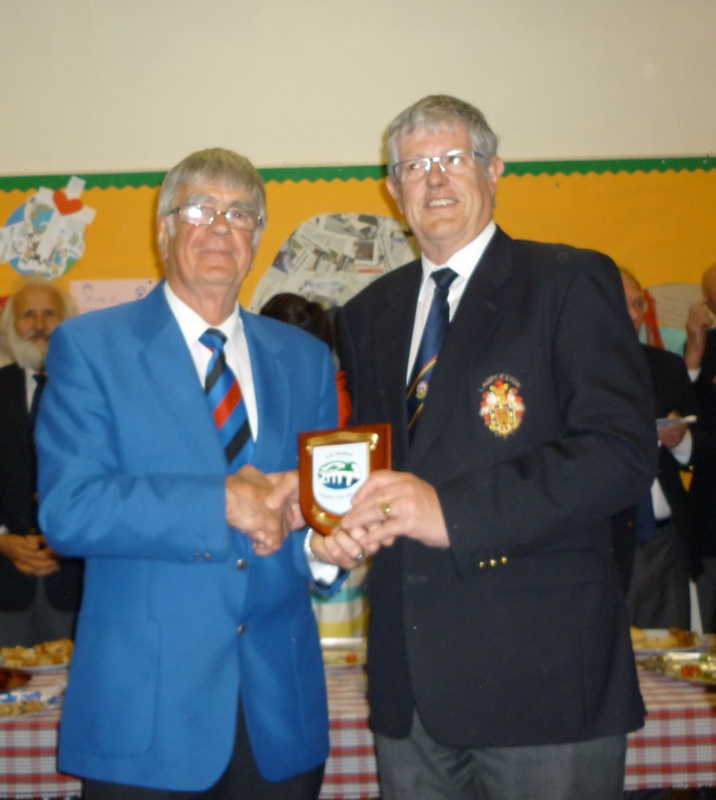 On their return to Builth members of the Choir held a reception to thank Bill for the many years service he had given to the Choir in the capacity of Secretary and Events Manager. The President, Jim Evans, awarded Bill life membership of the choir in recognition of the outstanding contribution he had made to the Choir over the past years. 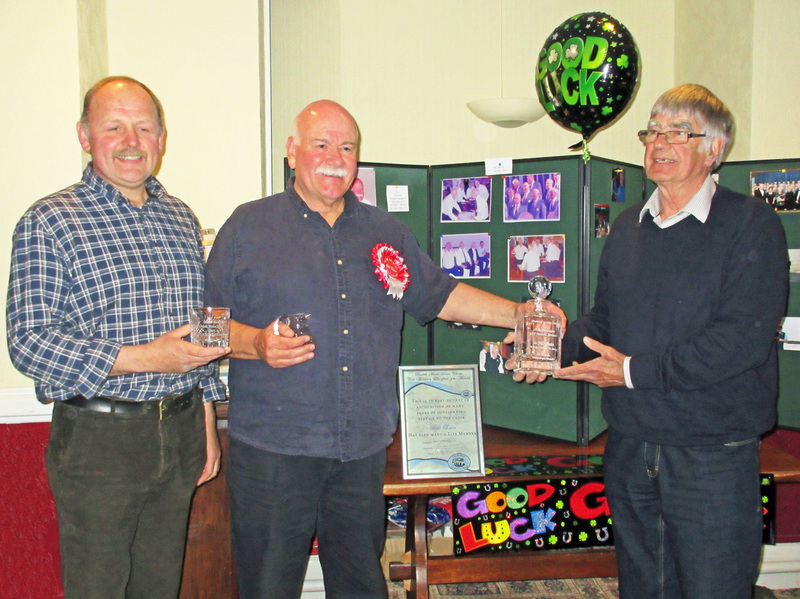 On behalf of the Choir the Chairman, Ian Coldrick, thanked Bill for his devoted service and presented him with a cut glass decanter and bottle of fine malt whiskey to enjoy in his new home in Wiltshire. 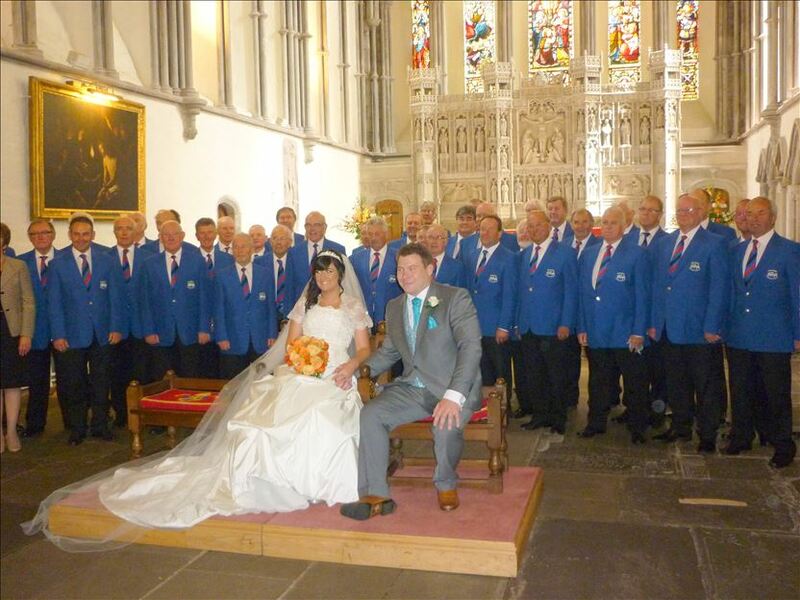 Builth Male Voice Choir has a very busy programme in the coming year performing at a number of concerts and weddings. 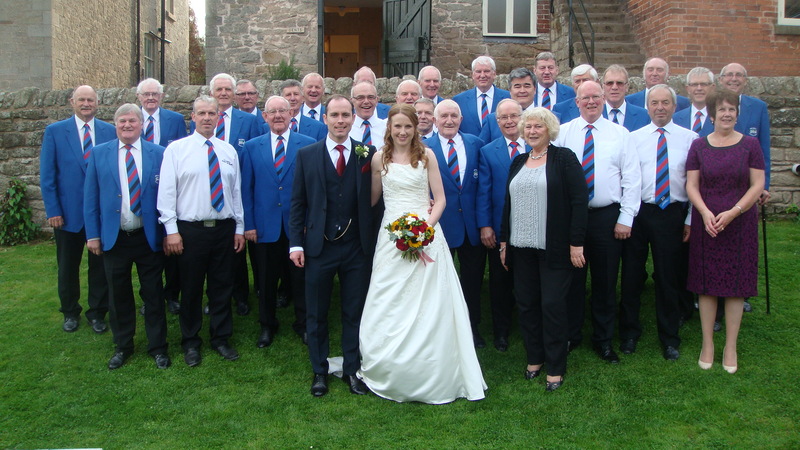 The Choir is always keen to welcome new members with or without previous choral experience at its practices at the Greyhound Hotel, Builth Wells on Monday evenings at 8.00pm. Tongwynlais Temperance Band, the 2014 Welsh Open Champions, joined Builth Male Voice Choir in a concert to celebrate St. David’s Day at Builth Sports Centre on Saturday 28 February 7.00pm. Tongwynlais are an accomplished band whose perfect performance showcased their recent competition pieces based on the theme of Heroes. Their talented young conductor, Christopher Bond, led the band and choir in a challenging performance of American Trilogy to close a very enjoyable and successful concert. A large audience enjoyed a varied programme at the Valentine’s Night Charity Concert in Brilley Hall organised by top tenor Mike Labett to raise funds for the local church. 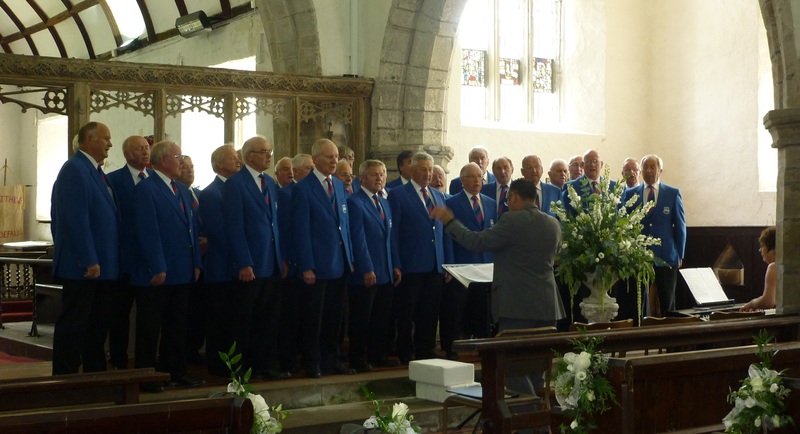 Three Choir members – Mike Labett, Rhydwyn Price and Trevor Morgan – entertained the audience and fellow choristers with virtuoso performances in both halves of the concert.